Atlanta United bowed out of the CONCACAF Champions League despite beating Monterrey 1-0 in the second leg of their quarter-final. Josef Martinez's 77th-minute goal gave Atlanta victory at home to Mexican visitors Monterrey, however, Frank de Boer's side lost 3-1 on aggregate. MLS champions Atlanta came into Wednesday's return fixture facing a 3-0 deficit following last week's trip to Guadalupe. Atlanta star Martinez offered the Americans some hope with an emphatic finish 13 minutes from the end at Mercedes-Benz Stadium. 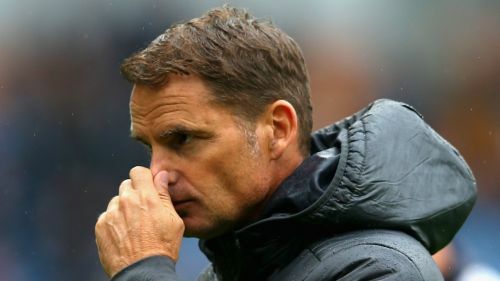 But, former Crystal Palace and Inter boss De Boer – who replaced Gerardo Martino at the start of the season – watched Atlanta exit the tournament midweek. Monterrey will face either Independiente or Sporting Kansas City, who trail 2-1 heading into Thursday's home clash, in the semi-finals.